Oman Air, the national carrier of the Sultanate, has made premium comfort amenities available for all on selected flights in time for Eid Al Adha. 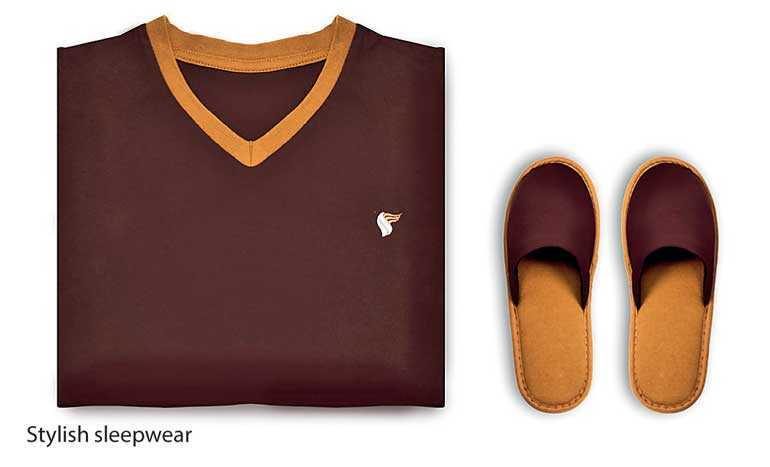 Effective from 15 August, Oman Air launched the sale of sleepwear, an exclusive amenities kit, and other Oman Air branded merchandise at attractive prices on a selected number of routes to mark the festive season. The airline is committed to maintaining its award-winning standards and continues to offer an enjoyable onboard experience. The new amenities, which have been carefully researched and developed, will be available on all long-haul flights to and from Europe and the Asia-Pacific region. The product offering reflects Oman Air’s commitment to provide all guests with the best in luxury and comfort. The elegant Business Class Amouage amenity kit, designed especially for Oman Air, contains a set of luxurious travel essentials including hand and body moisturiser, face cream, a sleeping eye shade and shaving razor. A Colgate dental kit and mouthwash are also included in the kit, to keep Oman Air guests refreshed. Fatigue is an unwelcome companion when travelling. With this in mind, Oman Air is introducing comfortable, yet stylish sleepwear on selected flights which can be bought at a nominal price. The new sleeper suits will provide Oman Air guests with plenty of comfort and ease when travelling on long haul night flights. A set of soft slippers is also included to guarantee comfort when resting or moving during the flight. Inflight amenities play an important part in the passenger experience and Oman Air works hard to ensure that the best possible experience is offered to its valued guests. Oman Air is committed to constantly improving its product, developing its brand and offering its guests an unrivalled experience. The new offerings, coupled with the quality of the service, make a significant difference to guest’s onboard experience.